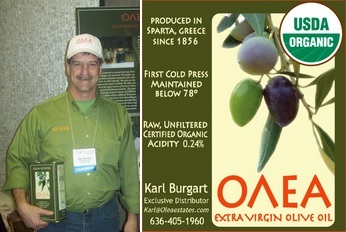 The Appropriate Omnivore is joined by Karl Burgart, a distributor for Olea Estates Olive Oil. Olea is a farm in Greece that offers real olive oil, which can be hard to come by today. Karl explains what real olive oil looks like and talks about what it means to be first pressed and unfiltered. Olea also sells olives, which are cured differently than the ones you find in stores and Karl & Aaron discuss how you won’t go back to the ones at the supermarket after tasting Olea’s. In addition, Karl gets into his other business, Healthy Harvest Gardens, which sells gardens supplies and different types of produce depending on the season. Karl encourages more people to get into growing their own food.